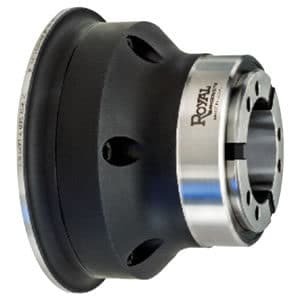 Royal CNC Collet Chucks » Rovi Products, Inc.
ROVI just made it simple to find Royal CNC Collet Chucks ONLINE! Accu-Lengths CNC Collet chucks: These Chucks utilize spring type collets, Dead-Length operation. 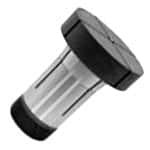 sleeve pushes forward to compress the collet providing precise Z-axis part positioning. Low profile nose offers outstanding tool clearance. 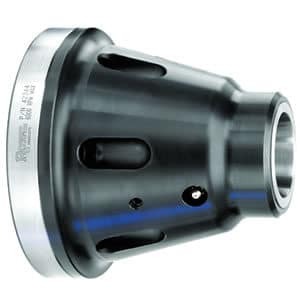 Each Royal Low-Profile CNC Collet Chuck includes a collet wrench, mounting hardware, and a custom-machined drawtube connector for hassle-free installation. S-type models also include a master collet. Pull Back CNC Collet Chucks: Traditional pullback design, collet is drawn into chuck for closing, pushed out for opening. typically used on first operation where holding precise axial positioning is not required. 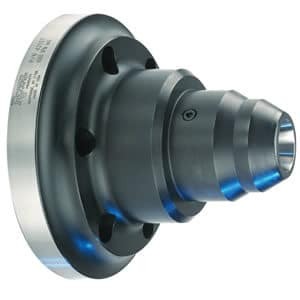 Each Royal Low-Profile CNC Collet Chuck includes a collet wrench, mounting hardware, and a custom-machined drawtube connector for hassle-free installation. Pull To Stop CNC Quick Grip Collet Chuck: Pullback design, however Z-axis positioning can be controlled with an included internal stop. Stop is easily removed for bar work. Often used in robot loaded applications where workpiece confirmation is required. or browse Royal Collet Chuck categories by using the links below.